Oxford is a bustling multicultural perpetually expanding city of South East England. It has become synonymous with its world renowned university, which boasts such alumni as Oscar Wilde, Stephen Hawking, and Laurel and Hardy. For those who take delight in the unknown, however, Oxford means something else entirely: ghosts. From Oxford Castle to Kassam Stadium, and indeed the university itself, the city is said to be booming with paranormal activity. This is a particularly interesting one. For a start, The Black Drummer Inn of Oxford is no longer standing, but is included on this list for those of you who want to visit a location which has been home to much paranormal activity without fear of actually encountering a spirit. And it’s just as well this place doesn’t exist today, because the spirit that made its home in the inn is said to have been extremely malevolent. Guests of a certain room in The Black Drummer Inn frequently reported hearing the sound of an infuriated pig while trying to sleep. Neither guests nor management succeeded in locating the pig in question and it was eventually put down as a paranormal occurrence. The hotel owners were content to live with what they believed to be the spirit of a farm animal, but it eventually became clear that they were dealing with something much more sinister. As well as keeping guests up with incessant oinking, the entity progressed to destroying luggage and biting those who dared step foot in its room. When you consider the fact that many believe those who were particularly unkind in this life are cursed to spend eternity with the body of an animal, this haunting becomes all the more disturbing. The spirit was eventually driven out of the hotel when a local wise man exhumed a suspect corpse, hacked it to pieces, and set it ablaze. 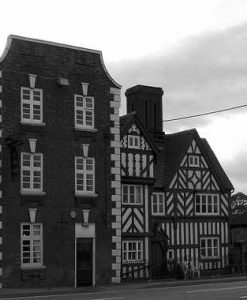 The Black Drummer Inn itself was eventually demolished, taking all traces of the haunting with it. 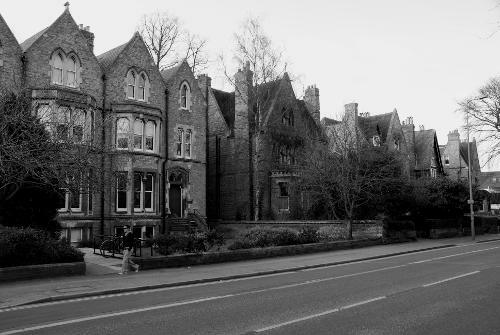 However, those who want a safe stroll along a haunted – or formerly haunted – location will delight in a midnight walk through Oxford’s St. Ebbe’s Street, where the building once stood. Given that Oxford University is the oldest university in the English speaking world, it should come as no surprise that the place is said to be home to more than a couple of ghosts. 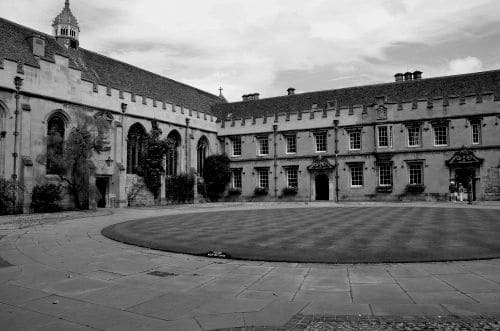 St. John’s College, which is a constituent college of Oxford University, goes all the way back to 1555 and boasts a pretty unique ghost which anybody who encounters is sure to remember; or, perhaps, be unable to forget. The ghost is question is believed to be that of William Laud. Laud was a close friend of Charles I and was made Archbishop of Canterbury in 1633. Things went pretty smoothly for Laud for much of his life, but in 1644 found himself on trial for treason, a crime for which he had already spent a number of years locked away in the Tower of London. After a series of legal complications, Laud was beheaded in January of 1645. Unfortunately for the former church leader, his story does not end there. Today, Laud is said to be a regular of the St. John’s College library, where he is seen carrying a candle and kicking his severed head across the floor. Laud’s ghost has been reported by students and professors alike, which adds a great deal of credibility to the story. Tales of haunted houses can be found all around the world, but haunted streets and roads are almost exclusive to British ghost stories, which likely has something to do with the notorious highwaymen who plagued British roads throughout the 16th and 17th centuries. Whatever the reason, there are dozens of these haunted streets around the Untied Kingdom, one of which is Banbury Road. Banbury Road is believed to be haunted by the ghost of a man named Napier, who committed a series of heinous yet frustratingly vague crimes during his lifetime. The fiendish Napier was eventually found guilty of multiple outrageous acts and sentenced to death, though his misdeeds were so evil that a simple beheading was deemed too good for him. Instead, Oxford authorities tore Napier limb from limb and sliced each severed piece into a hundred smaller chunks before scattering the results throughout the city limits. Napier is said to have returned to the world of the living shortly after his death to begin the Exodia-esque search for his sliced and diced body parts. Over time, he tracked down much of what he lost, but so far has been unable to locate his severed head, which he suspects is somewhere on Banbury Road. The headless spectre of Napier is rumoured to stalk the area to this day, determined to find his missing cranium so he can get back to committing the despicable acts which made his death necessary in the first place. Like most castles around the Untied Kingdom, Oxford Castle has a long, complex, and often terrifying history. As a result, ghost stories set in the building exist in copious amounts and have been passed down from generation to generation for centuries, not that visitors to the castle need their grandparents to figure out it is a place where the wall between this world and the hereafter is particularly thin. Mary Blandy, who poisoned her father with arsenic, was put to death at Oxford Castle in 1752 as punishment for her crime. However, the execution didn’t do a whole lot to rid the world of the wicked woman. Her ghost has been reported countless times over the centuries by staff and visitors alike. She is most commonly seen strolling around the castle mound, the spot on which her execution was likely carried out. There has also been much poltergeist activity reported at Oxford Castle, which many blame on a séance which was held at the castle in the 1970s. In a classic example of why séances should be avoided, the well-meaning attempts of the team to communicate with the spirits of the castle went horribly wrong and they wound up inviting some sort of demonic entity to make its home in the building, which wasn’t exactly short of ghosts to begin with. The following months were a symphony of deafening bangs, disembodied voices, and smashing plates. 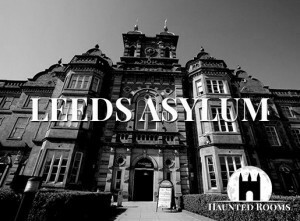 Visitors were pushed, hit, and generally harassed, as were members of staff and those held in the prison which operated at the castle at the time. Things got so bad that those in charge of running the castle were forced to bring in a priest to carry out an exorcism. 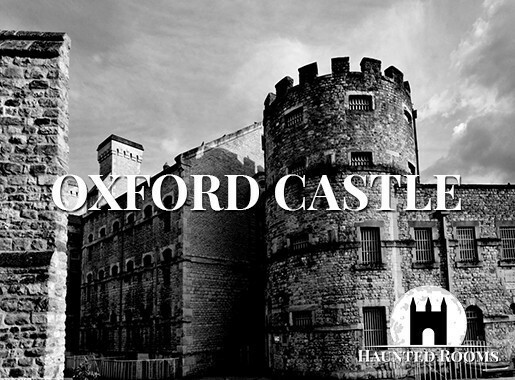 Although the paranormal activity at Oxford Castle has decreased in the decades since the exorcism, there are still sightings of ghosts and reports of disembodied footsteps and other untraceable sounds. In case the name didn’t give it away, The Old Bank Hotel, located on Magpie Lane, spent a portion of its history as a bank. 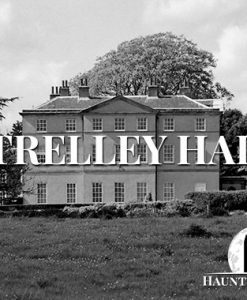 During these decades of money lending and mortgage approving, stories began to spread throughout Oxford about a paranormal presence in the building. Many considered these to be nothing more than fantastical yarns, but those who spent time working in the bank insisted that there was something not quite right going on there. It is said that the paranormal activity in the bank was so powerful that it became a part of the employees’ day-to-day lives and included flickering lights, disembodied voices, and the hiding of objects. Some bankers even reported seeing a figure in a long brown dress gliding from one end of the building to the other, often times passing through displays, counters, and even walls. 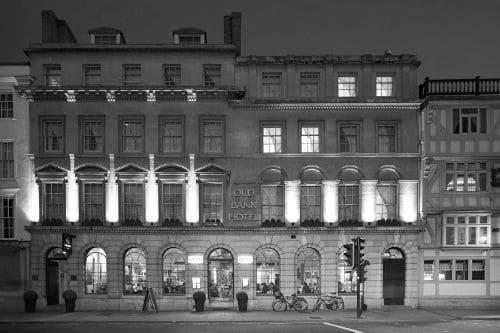 If local legend is to be believed, the spirit which appeared to so many bankers over the years was that of Prudence Burcote, who lived in The Old Bank Hotel with her family during its time as a residence. The Burcotes were a wealthy Puritan family during the English Civil War and Prudence, the daughter, made the mistake of entering into a relationship with a Cavalier. When the young woman’s father discovered the affair, he was furious and banished her from his home. This wasn’t much of an issue at first, as Prudence simply moved in with her lover, but eventually his duties as a soldier took him away from Oxford and the adoring arms of his lover. Left with nowhere to go, Prudence was forced to return home and beg for her father’s forgiveness. For weeks and months after, Prudence awaited the return of her Cavalier partner, a return which never happened. When it became clear that she would be forced to continue in this world without the man of her dreams, Prudence took her own life inside her childhood home. Her ghost now roams the building, be it a bank or a hotel, presumably searching for the soldier who left her with a kiss and a broken heart.